ALBANY, N.Y. -- "It is with the deepest sadness CSEA mourns the loss of Florence 'Flo' Tripi, President of CSEA's Western Region. Flo was active in CSEA for 50 years, serving as a passionate activist and an effective leader. 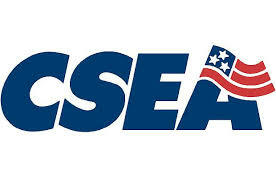 She held elected office for 18 years as CSEA Western Region President. One of our union's strongest advocates, Flo used her voice to make life better in our communities and in our union. Flo never backed down, stood tall and never failed to represent our members with dignity and heart, by whom she was most beloved. I am personally deeply saddened by this news. Flo was one of our brightest stars, and a dear, close friend. Flo was an inspiration to everyone around her. She was a passionate leader and a powerful force in representing CSEA members. CSEA will continue to honor Flo's memory by doing exactly what she did for her entire time with CSEA - fighting for the dignity and respect of our hardworking members throughout the state. Flo will be profoundly missed by all around her, and our hearts and prayers are with her loved ones during this difficult time." Read more about Flo Tripi at https://cseany.org/flo-tripi.